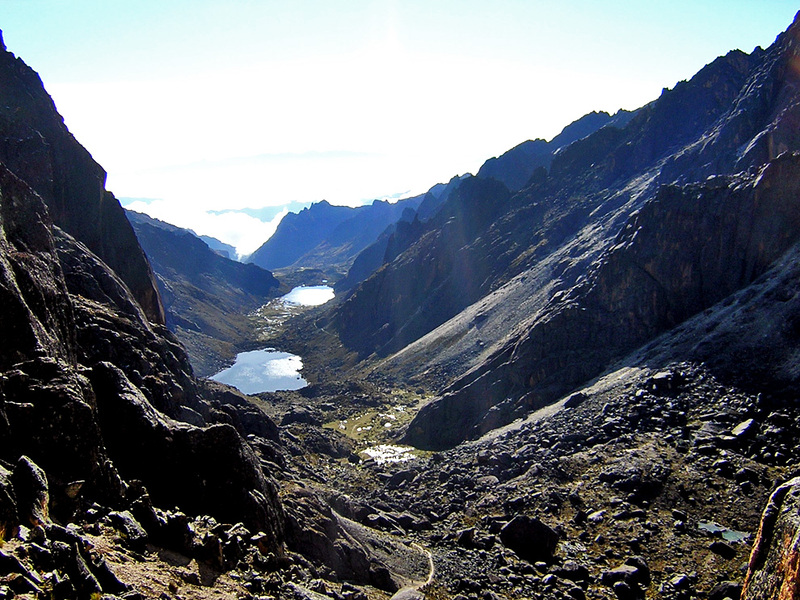 "Bolivia's most scenic traverse through deep canyons and soaring granite spires"
To the south of La Paz, the rarely-visited Cordillera Quimsa Cruz comprises more than eighty 5000 meter peaks and soaring granite spires that rise out of bizarre boulder fields. 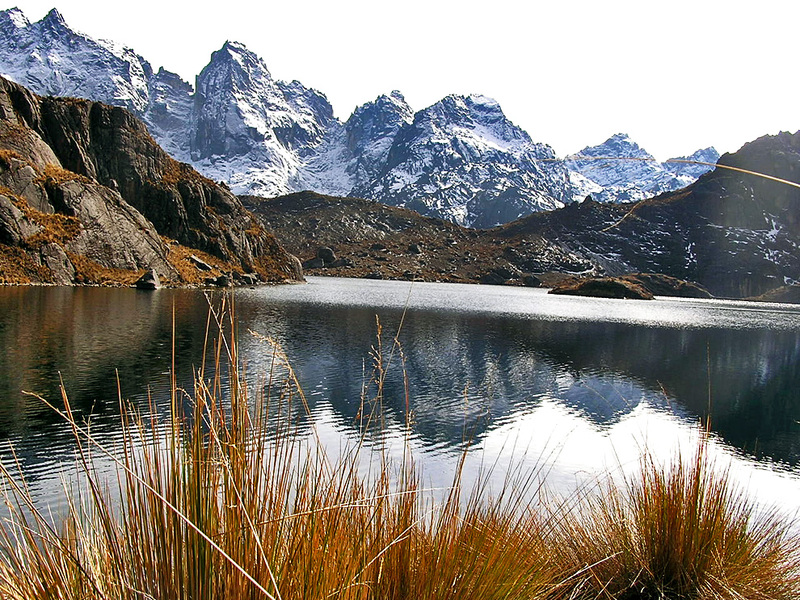 This rugged mountain range has been described as the "South American Karakoram". Before setting off on the trek we will acclimatize in the Lake Titikaka. 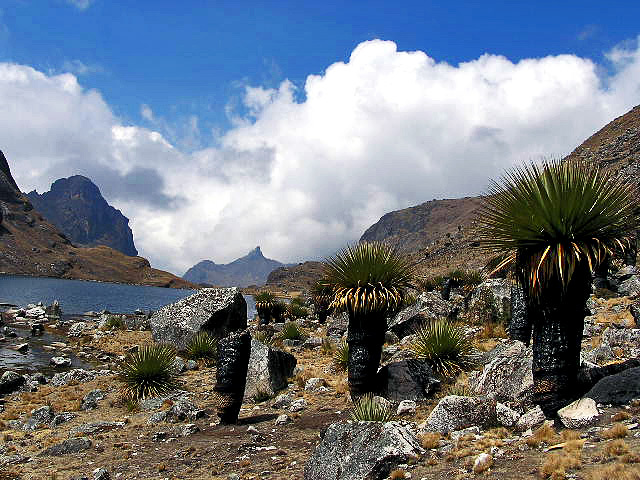 We will then move to the Cordillera Quimsa Cruz and find out a world of striking rock spires, snow-caped peaks, brilliant blue lakes, alpine meadows, high passes and soaring condors. DAY 2: CITY TOUR. 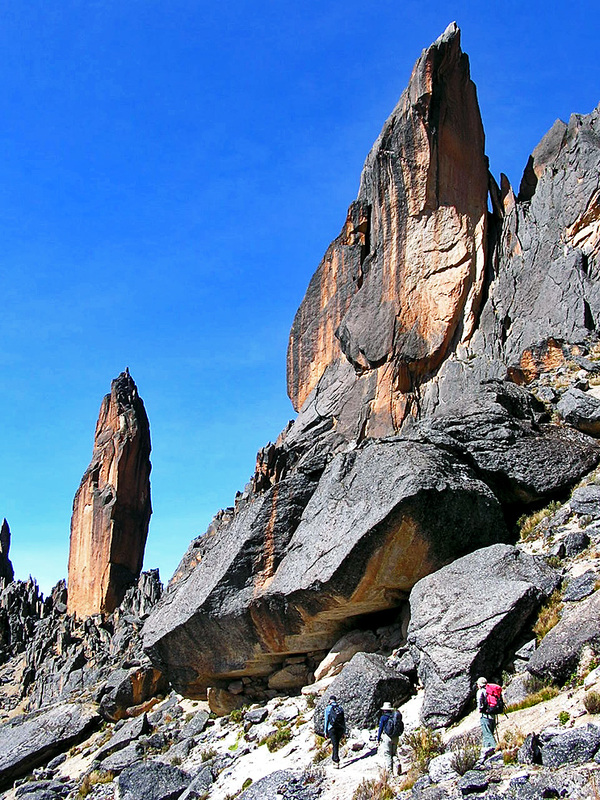 Half day to discover the town of La Paz and its indigenous markets, museums, viewpoints and the eroded landscape of the Moon Valley. DAY 3: DRIVE TO COPACABANA CITY & LAKE TITIKAKA. A series of cultural highlights to visit en route. Superb views of Cordillera Real. By boat we will get to Sun Island to find unique traditions and folklore. Lodge. 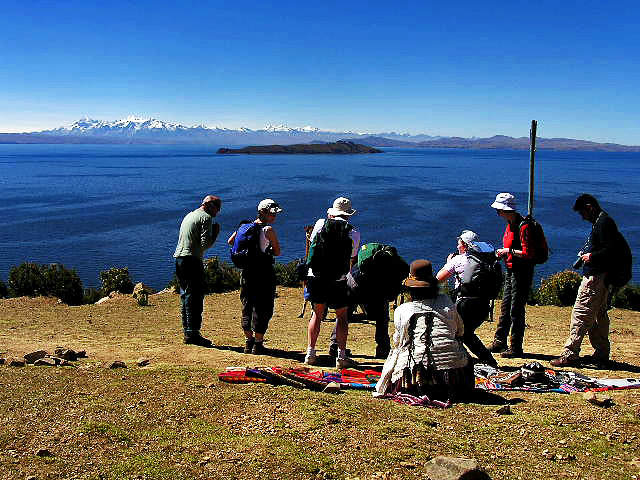 DAY 5: DISCOVER COPACABANA & RETURN TO LA PAZ. Walk by indigenous markets, streets and viewpoints. Car transfer to La Paz. DAY 6: TO ARACA. Car transfer. 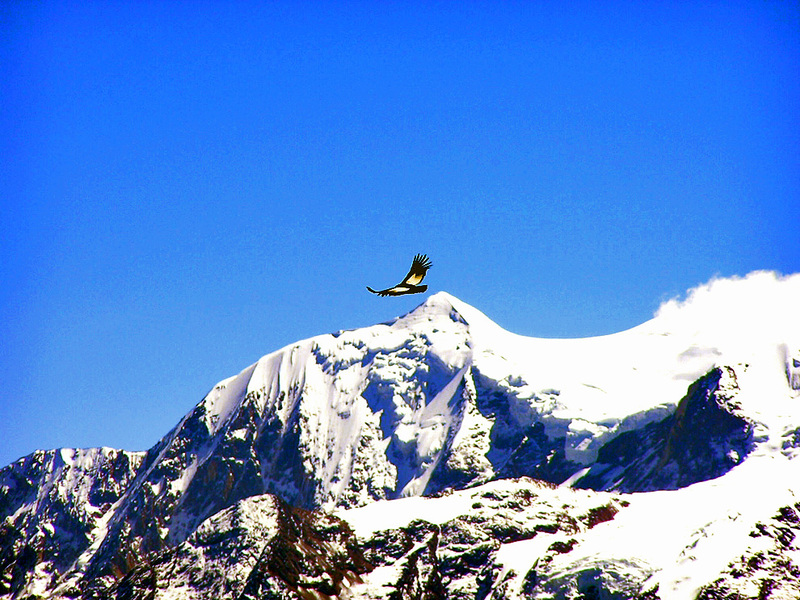 Great views of the Illimani glaciers rising above green valleys. Refuge. DAY 7: TO MACHACAMARCA. Trek and camp. DAY 8: TO KUCHU MOCOYA. Trek and camp. DAY 9: TO MAMA OCLLO LAKE. Trek and camp. 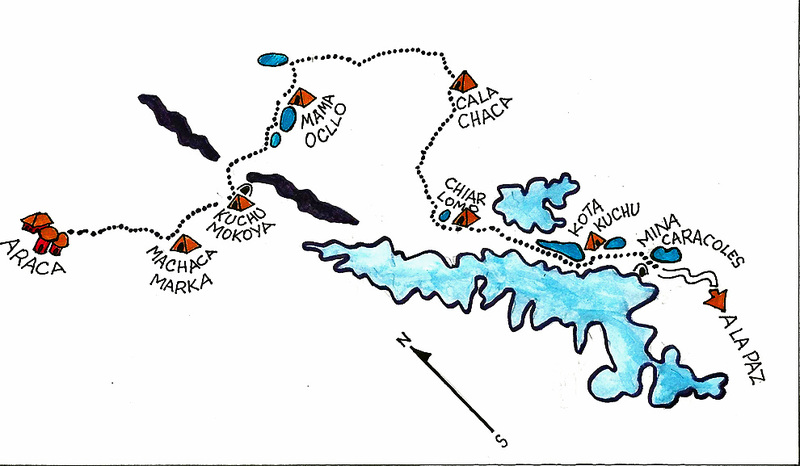 DAY 10: TO CALACHACA. Trek and camp. DAY 11: TO CHIAR LOMO. Trek and camp. DAY 13: TO KOTA KUCHU. Trek and camp. 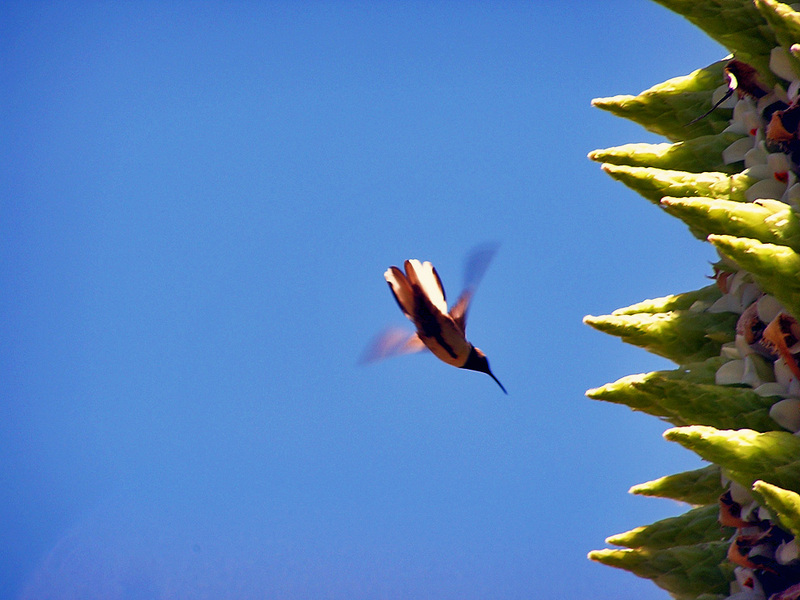 DAY 14: TO CARACOLES & RETURN TO LA PAZ. Trek and drive back to La Paz. DAY 15: TIWANAKU. 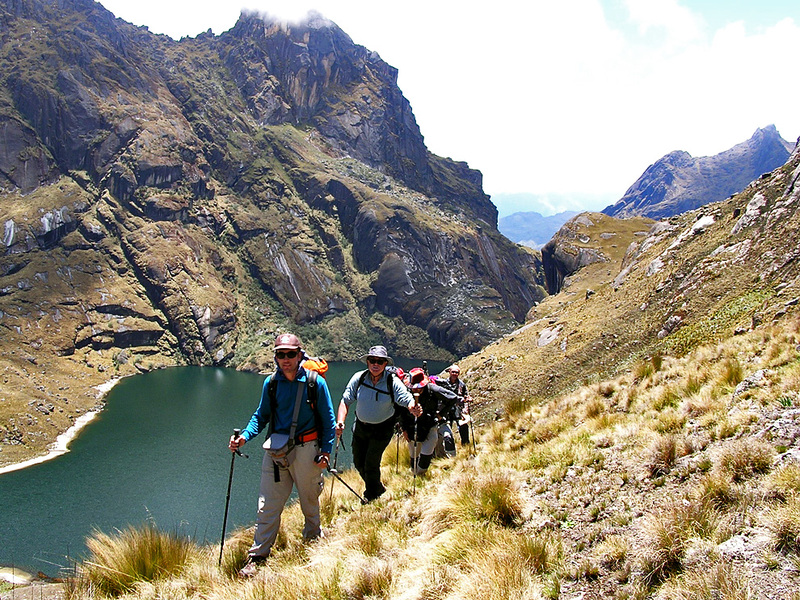 Half day tour to visit Pre Inca temples and palaces. BRING: anorak, sleeping bag, warm gloves, polar jacket, thermal underwear, sun glasses, head, sun block and sun hat.